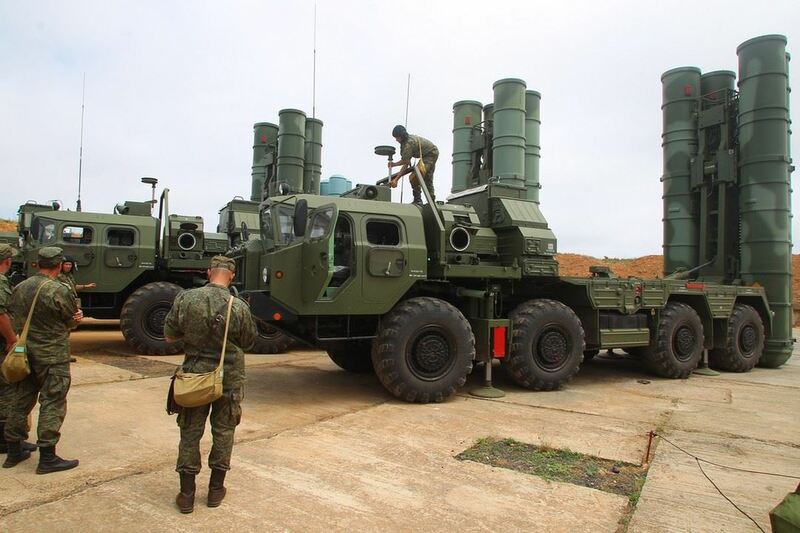 MOSCOW, the Russian Federation, (BulgarianMilitary.com) – The Russian Armed Forces will receive the most advanced 40N6 long-range surface-to-air missile (SAM) for use of its S-400 Triumf system after the acceptance processes for service were completed last month. This was announced, yesterday, by the state-run news agency TASS, citing an unmanned Russian defence industry source, learned BulgarianMilitary.com. The source revealed that all the necessary documents for the longest ranged interceptor to enter service with the Russian Army units, that operate with the S-400 air defence system, were signed in September. Now the Russia’s Ministry of Defence is about to start the purchases of the 40N6 long-range missiles. Under the Russia’s armament program, the Aerospace Force plans to acquire more than 1,000 40N6 missiles through 2027 in order to supply its newly established S400 regiments, as well as to rearm the actual ones. The source also revealed that under this program, 56 new Aerospace Force S-400 battalions were planned to be formed. Few months ago, in July, TASS cited another source in the domestic defense industry, who said that the 40N6E long-range missile of the S-400 air defense system successfully completed the state joint trials, held at the Kapustin Yar practice range, as well as the corresponding certificate were signed. The 40N6 SAM was developed by the state-owned Fakel machine-building design bureau and serial produced by the Moscow-based manufacturer and the sole supplier of missiles for the S-400 system, MMZ Avangard. The advanced long-range missile was expected to enter service in 2010s but due to a delay of the trials all the process was put off. The 40N6 missile is designed to be capable to strike targets, such as early warning and electronic warfare aircraft, airborne command posts, strategic bombers, hypersonic cruise and ballistic missiles at a maximum destruction range of 380 km for aerodynamic targets and 15km for ballistic weapons at an altitude ranging from 10 m to 35 km. at an altitude from 10m to 35km. Its average flight speed is 1,190 m/s. The missile features capabilities to destroy aircraft beyond the radio visibility boundaries of ground-based radars. The previous missiles, operating with with the S-400 system, such as 9M96, 48N6 and 48N6DM were capable to strike targets at a distance of up to 250 km.